The workshops run from 10.30am to 5.00pm. The cost of attending each day is £70, which includes all materials and use of tools and equipment. In this one-day workshop you will be introduced to basic techniques of painting on glass, as used by artists from the medieval period to the present day. With our expert tuition you will practice using different brushes to produce different effects, and by the end of the day you will produce a painted piece to be fired. If you also attend a glazing day, you will be able to incorporate your painted piece into a leaded panel. Ann Sotheran is a Fellow of the British Society of Master Glass Painters, with over 25 years’ experience of designing and making stained glass. She has taught evening classes in stained glass for nearly twenty years as well as various workshops and taster sessions, covering all aspects of stained glass work including glass painting and acid etching. Examples of Ann’s work can be found on her website. You can book a place on any of our workshops through our Eventbrite page. Numbers are limited to 10 at each workshop. 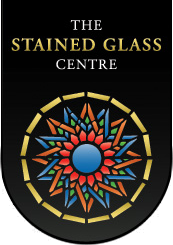 If you need any further information, please email us at events@stainedglasscentre.org.